The Eastbrooke Family Clinic Burleigh Waters is a modern medical centre located on the Gold Coast within close proximity to Robina and Varsity Lakes. The clinic is open seven days a week including weekends (both Saturday and Sunday) and offers a variety of both male and female doctors. For patient convenience, our centre also offers an after hours service for an emergency GP doctor in Burleigh Waters. The centre is also one of the preferred immunisation providers recommended by Queensland Health. Eastbrooke GPs have an interest in men’s, women’s and children’s health in addition to chronic disease management and preventative care. We build a solid foundation of trust with you so that you can feel comfortable every time you visit our clinic. Ultrasound assessment of pregnancy is now available onsite during your consultation! Dr Chris Briggs is able to provide dating and viability scans during the first trimester, and also general assessment throughout the pregnancy. This complements a thorough antenatal service provided at Eastbrooke Family Clinic Burleigh Waters. Our medical centre is also equipped to deal with Work, Health and Safety issues including pre-employment checks, work based injuries and return to work programs to get you back to a happy and healthy life. Patients are able to visit one of our Burleigh Waters doctors either by walk in or appointment. In addition to a range of professional doctors and registered nurses, the centre also offers additional services to patients such as pathology, psychology, speech therapy, an onsite pharmacy and much more. With baby change facilities and a large children’s play area available, the centre is suitable for the whole family and patients of all ages. Our Burleigh Waters medical centre can be reached on (07) 5568 6000 for any enquiries and appointments. Existing patients can use their Medicare card to make quick and easy bookings through our website at a suitable time. You can also reach us via the online contact form where you will receive a prompt reply regarding your enquiry. 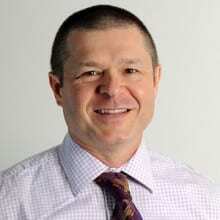 Dr Aleksander Zajkowski graduated in 1992 in Poland and has worked for 18 years in hospital medicine including Paediatrics, Gynaecology and Obstetrics, Intensive and Coronary Care, General Medicine and Emergency Medicine. Speciality General Practitioner Credentials MBBS Languages English Special Interests Teaching, Family Medicine, Geriatric Medicine, General Medicine and Travel Medicine. 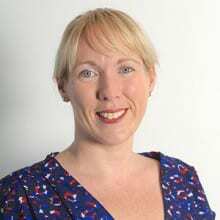 Dr Ingrid Francis has extensive experience in all facets of general practice, with expertise in Mirena and Implanon insertion, antenatal and postnatal care, in addition to Hepatitis C management. Dr Francis is also an accredited yellow fever vaccine provider. 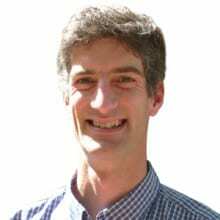 Dr Mclean was born and raised in rural New Zealand and studied Medicine at the University of Otago and graduated in 2003. 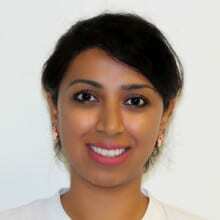 She has worked in diverse range of settings and enjoys all aspects of General Practice. She is also a member of the AMA. Speciality General Practitioner Credentials MBChB (2003), BMLSc (Dist), PGDip Sports Medicine, FRNZCGP, FRACGP Languages English Special Interests Womens and Children’s health, Antenatal and postnatal care, Sexual health and contraception, Family Planning, Fertility Assessment, Chronic Disease Management, Lifestyle coaching, Preventative Medicine, Indigenous Health and Maori Health. Professor Mark Morgan was born in England and completed his medical training in Cambridge and Oxford universities. 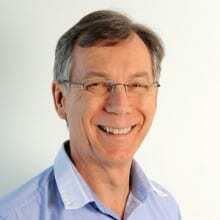 He has worked as a GP in Australia since 1998. He completed his PhD studying how best to look after depression in people with heart disease or diabetes. He now teaches medical students at Bond University and is a member of the Royal Australian College of General Practitioners Quality Care Committee. 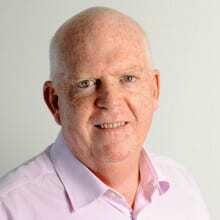 Professor Morgan is passionate about creating trusting relationships with patients to better implement evidence-based care and as a teacher he strives to share his enthusiasm for quality practice and excellent communication skills. Speciality Professor / GP Credentials BM BCh, MA, PhD, MRCGP, FRACGP, DRCOG, DFFP Languages English Special Interests Family care from birth to old age, management of long-term medical conditions, preventative medicine, dermatology and travel medicine. Dr. Stephen Barry has practiced the full span of General Practice on the Gold Coast for 30 years .He has special interests in skin cancer treatment, sports injuries, antenatal care and pediatrics. However he provides care for the whole family no matter what the problem. He aims to provide complete primary and continuous care for all his patients. He teaches with both Griffith and Bond Universities’ medical schools and is also a Director of Primary Care Gold Coast, an organization trying to develop the best possible health care for the Gold Coast. Dr Suzanne Blum graduated from U.W.A. in 1985, working for 2 years in Perth hospitals and then commencing general practice. She has been working as a GP on the Gold Coast since 1989. Dr Christina Radon completed her medical training in the UK, graduating from The University of Birmingham in 2003. She subsequently undertook postgraduate training in Obstetrics & Gynaecology, being awarded the qualification MRCOG (Member of the Royal College of Obstetricians & Gynaecologists). She has practiced Medicine in Australia for over 6 years, which has included working in Western Australia, Sydney, as well as The Gold Coast University Hospital and The Tweed Hospital. Speciality General Practitioner Credentials Languages English Special Interests Antenatal and postnatal care, family planning, fertility management, Children’s health, musculoskeletal disorders. Dr Radon’s main areas of interest are in Women’s and Children’s Health. She has several publications within the field of Gynaecology and a particular interest in fertility management. As a former International athlete, competing at an Elite level in triathlon, cycling and athletics, she also has a strong interest in Orthopaedics & Sports Medicine. Dr Rodney Coates graduated from Queensland University and undertook training at Royal Brisbane Hospital, Royal Children’s Hospital, Chermside and Gold Coast Hospitals obtaining a Diploma in Obstetrics and Gynaecology and a Certificate in Accident and Emergency Medicine. 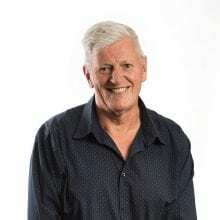 He has practised on the Gold Coast for over 30 years, providing comprehensive and compassionate care for all of his patients. Eastbrooke Family Clinic Burleigh Waters is excited to announce that local Gold Coast GP, Doctor Webby Chen has re-joined their team of medical staff. Dr Chen studied medicine in New Zealand and graduated in 2008. He completed his internship at Gold Coast Hospital and residency at Royal Brisbane and Women’s Hospital. He was also in basic physician training for adult internal medicine for six months. 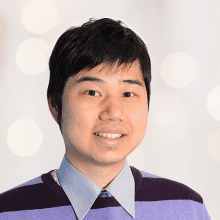 Dr Webby Chen started his GP career in July 2011 and has also completed a 6 month extended skills post in Dermatology at the John Hunter Hospital prior to moving back to the Gold Coast. He has been working as a GP on Gold Coast since 2013. Carol is a Certified Practicing Speech Language Pathologist who has over twenty five years experience working with children. 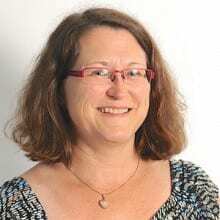 Carol has worked in a range of Clinical settings including Early Intervention at the Child Development Service on the Gold Coast, Educational settings in the School system and Hospital based rehabilitation services. Carol’s specialty is Speech Pathology for infants and children under 12 years. Speciality Speech Pathologist Credentials Bachelor of Applied Science Speech Pathology (The University of Sydney 1991). Practicing Member of Speech Pathology Australia Languages English Special Interests Treating Stuttering; speech and language intervention with infants and toddlers and treating language, learning and memory disorders in preschool and school-aged children. Emily is an Accredited Practicing Dietitian, Nutritionist and Sports Dietitian. She has been working as a Dietitian for the last ten years, working mainly with adults towards weight loss, management of their Diabetes, and belly complaints such as Irritable Bowel Syndrome. As a Sports Dietitian Emily can also assist clients reach their sporting goals, by gaining or losing weight, eating for competition or race day and achieving muscle/ lean gains with their gym workout programs. Joel is a Certified Clinical Exercise Physiologist and Exercise Scientist who has over 10 years experience prescribing exercise for disease/injury management. Joel has worked in a range of Clinical settings including; diabetes management clinic (working closely with an Endocrinologist), working in commercial gyms, running group hydrotherapy classes, mining sector (pre-employment functional capacity evaluations), DVA and work cover rehabilitation services. Mr Gambrill has over 35 years’ experience as a Psychologist, with a broad range of experiences in both Australia and internationally. Mr Gambrill works closely with his clients and their referring doctors utilising the latest research and evidence-based therapies. Speciality Psychologist Credentials B.A., M.Psych., MAPS Languages English Special Interests Chronic Pain and Trauma. Elle started Gold Coast Pelvic Health & Physiotherapy with the ambition to lead the way in pelvic health care service delivery in the private practice sector on the Gold Coast. Elle has developed a high-skilled specialized professional service exclusively focusing on the treatment and management of complex and sensitive female, male and child pelvic floor problems including bladder, bowel, pelvic pain and prolapse and the treatment of pregnancy conditions. Elle work closely with general practitioners, midwives, urogynaecologists, urologists, colorectal surgeon and gastroenterologist across the Gold Coast. Elle started her university education with a Bachelor of Science and Exercise physiology and went on to complete a Doctor of Physiotherapy. Throughout Elle’s professional career she has focused on becoming an expert in the advanced scope area of women’s health and continence Physiotherapy through the completion of the Master of Clinical Physiotherapy majoring in Women’s Health and Continence, affording her titling through the APA as a Women’s Health and Continence Physiotherapist. 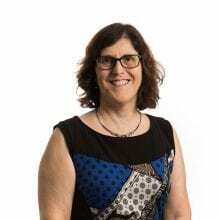 Elle is the only Women’s Health and Continence Physiotherapist on the Gold Coast with advanced training in the Conservative management of pelvic organ prolapse and pessary fitting through the University of South Australia. Elle is high skilled in the assessment of pelvic floor muscle dysfunction and is trained in internal examinations and the use of real time ultrasound for biofeedback training as well as other modalities such as electrical stimulation and electromyography. 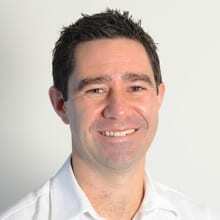 After completing a Bachelor of Exercise Science at The Australian Catholic University in 2008, Christian commenced undergraduate studies in Podiatric Medicine with Charles Sturt University, Albury. In 2013 Christian graduated from La Trobe University with a Masters of Podiatric Practice, receiving the Golden Key Award in recognition of academic performance. With an expert understanding of human movement and biomechanics as well additional qualifications in exercise physiology, Christian’s knowledge of the body extends well above the foot and ankle. Christian’s treatment approach allows for a comprehensive assessment from which he endeavours to identify the specific cause of injury so that a tailored management plan can be developed. From initial symptom control through to a detailed rehabilitation program, no two patients are managed the same. At the end of the consultation, you will know what you have injured, why it has occurred and most importantly, how you can fix it. 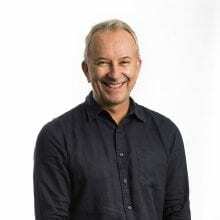 In addition to his university studies, Christian holds a Cert IV in Remedial and Sports Massage Therapy and is an accredited ART (Active Release Technique) provider for the lower limb, both of which he incorporates into his treatment approach. Outside of a working capacity, Christian writes for publications such as Wellbeing Magazine and Lorna Jane’s popular online platform, Move Nourish Believe and is a keen surfer with an interest in boxing and resistance training.